An excellent book.T.R. knows how to keep your interest. Well researched, lots of information about the crews, weapons and ships. I wish he had left out the land portion (seems unnecessary). Interesting to see how much he was trying to make a point about the condition of the US Navy in 1882. Some definite issues in formatting with the free Kindle version.The absence of the illustrations is noticeable. Thirty years ago, The Rise of Theodore Roosevelt won both the Pulitzer Prize and the National Book Award. A collector’s item in its original edition, it has never been out of print as a paperback. 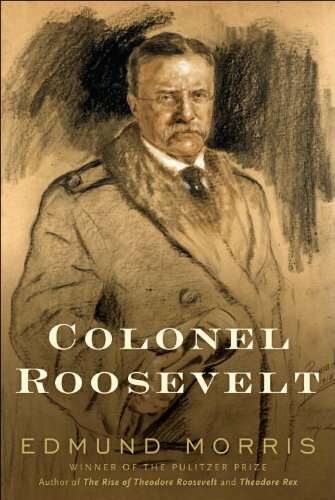 This classic book is now reissued in hardcover, along with Theodore Rex, to coincide with the publication of Colonel Roosevelt, the third and concluding volume of Edmund Morris’s definitive trilogy on the life of the twenty-sixth President. The rest of this book tells the story of TR’s irresistible rise to power. (He himself compared his trajectory to that of a rocket.) It is, in effect, the biography of seven men—a naturalist, a writer, a lover, a hunter, a ranchman, a soldier, and a politician—who merged at age forty-two to become the youngest President in our history. Rarely has any public figure exercised such a charismatic hold on the popular imagination. Edith Wharton likened TR’s vitality to radium. H. G. Wells said that he was “a very symbol of the creative will in man.” Walter Lippmann characterized him simply as our only “lovable” chief executive. During the years 1858–1901, Theodore Roosevelt, the son of a wealthy Yankee father and a plantation-bred southern belle, transformed himself from a frail, asthmatic boy into a full-blooded man. Fresh out of Harvard, he simultaneously published a distinguished work of naval history and became the fist-swinging leader of a Republican insurgency in the New York State Assembly. He had a youthful romance as lyrical—and tragic—as any in Victorian fiction. He chased thieves across the Badlands of North Dakota with a copy of Anna Karenina in one hand and a Winchester rifle in the other. Married to his childhood sweetheart in 1886, he became the country squire of Sagamore Hill on Long Island, a flamboyant civil service reformer in Washington, D.C., and a night-stalking police commissioner in New York City. As assistant secretary of the navy under President McKinley, he almost single-handedly brought about the Spanish-American War. After leading “Roosevelt’s Rough Riders” in the famous charge up San Juan Hill, Cuba, he returned home a military hero, and was rewarded with the governorship of New York. In what he called his “spare hours” he fathered six children and wrote fourteen books. By 1901, the man Senator Mark Hanna called “that damned cowboy” was vice president of the United States. Seven months later, an assassin’s bullet gave TR the national leadership he had always craved. Besides being one of my favorite presidents, Roosevelt was truly a man of many talents, abilities, and actions that Edmund Morris eloquently describes in this book. I found the chapter by chapter (in which each chapter represents a year of his life)description very interesting and unique. The amount of data given and how Morris ties it together is truly artful. I thoroughly enjoyed this book and would highly recommend it to anyone interested in learning about the early years of Theodore Roosevelt. Bottom line: this was one of the finest, if not the finest, books I've ever read. Having read this book's successor, "Theodore Rex," previously (which I reviewed favorably), I figured this book would be similarly dense and, though enjoyable, somewhat challenging at times.Nothing could have been further from the truth.I read this book in about two weeks despite its length (albiet with very little else to do), and I was easily reading over 50 pages in a sitting.Morris tells TR's life story with such passion and vitality that it is easy to forget that you are reading about a real-life character.Early on, some of TR's exploits are hard to relate to, as he was a typical upper-class young man of the day whose experiences are totally foreign, extravagant, and, to be frank, downright strange (the word "twit" kept popping in my mind throughout the first hundred pages or so). That said, Morris still makes things interesting and it is once Roosevelt starts going on his trips to the West and running for the New York Assembly that the story really comes to light.TR's life is nothing short of incredible, and Morris does such a great job at pointing out the major events in his life that I had no problem distinguishing what TR did during each phase of his life, both professional and personal.My favorite part of the book was towards the end (it kept getting better), when TR becomes Assistant Secretary of the Navy and leads the Rough Riders across Cuba, thought Morris discusses episodes from throughout his life.Punching out deadly cowboys, killing wild beasts, facing down Indians and bandits, and running through a hail of Spanish rifle fire stand out in my mind, but there are countless examples of Roosevelt's unbelivable exploits, all tied together masterfully in this book. Morris's greatest achievement in this book is making the reader truly want to be like Roosevelt.Especially if you are in some sort of leadership or managerial position, this is a must read.Roosevelt had his weaknesses, to be sure, but his strengths come to light in Morris's account, and I actually found myself striving to be like Roosevelt at work (trust me, this has never happened to me before after reading a book, particularly regarding someone that died nearly a century ago).Roosevelt is the embodiment of a born leader.He overcame adversity (physically, at least) from birth, took unpopular stances consistently throughout his distinguished career, yet still won over those for whom he was responsible and did things others deemed impossible. I would reccomend this to anybody.Read this book.You won't regret it. The paperback book was in excellent condition. Even with the added cost of postage it was still much less than buying new in the local bookstore !I would do business with this company again. ! Thank you ! Book arrived on time and had obviously been read before. It was in good condition. After reading Leadership: Past, Present & Future I wanted to know more about President Theodore Roosevelt and this is a great book to learn more about this great man. T Roosevelt had a great life and is an inspiring person, but this book was writing in the early 20th century when they didn't believe in paragraphs. It's very long winded and talks about relationships that i find unimportant when trying to understand someone's life. It's full of good info, but a little tough to get through. A clear view of how TR was raised to service the America he loved. His life reflected what the best families could offer but he used this experience to build himself and got ready for a very interesting life. It reads well. 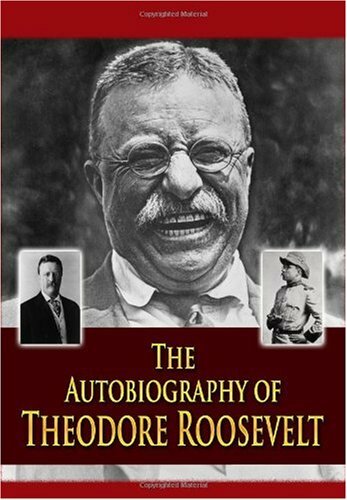 This autobiography covers Roosevelt's life well. His determination and hard worked proved to be the key to overcoming all obstacles in his way.Roosevelt's life was entertaining from his childhood to the presidency.Roosevelt is considered by scholars as one of the greatest United States Presidents. Theodore Roosevelt was a man's man. A New York kid whose taste for adventure was sparked in his boyhood by a dead seal for sale on a Broadway sidewalk. Harvard student, soldier, Rough Rider, youngest President ever and one who survived the assassin's bullet, maverick politician, Nobel Prize winner, hunter and conservationist, and finally the man who, at 55 years old, explored an unknown region of the Amazon river basin. Imagine one of today's former-Presidents undertaking a similar adventure. For six weeks, in 1914, Roosevelt and his party paddled and carried their canoes down a previously unexplored 950-mile river now called the Rio Roosevelt. Men died, boats were lost, food became scarce, dangerous animals and natives were about, fever borne by insects sickened many in the party (and led to Roosevelt's own death five years later). This is the stuff of "Through the Brazilian Wilderness". 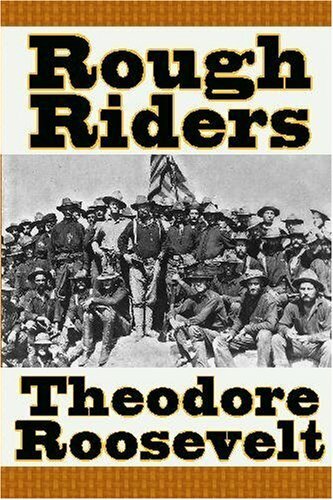 Roosevelt's other works, including "The Rough Riders", are better known, and this one is not great literature. Instead, it is a remarkable adventure story by an interesting man. The book is essentially Roosevelt's trip diary, colored by his great enthusiasm for adventure and the natural world. Even before reaching the Amazon, Roosevelt stops at a Brazilian snake research lab that so captures his attention that he writes seventeen pages about it. At all times, he makes careful note of the wildlife he encounters, not quite with the depth of a professional scientist, but with the trained eye of a dedicated and experienced hobbyist. He squeezes in some amusing stories about piranha fish that he heard --and apparently believed. Naturalists of the day killed animals in the name of science, which places in context Roosevelt's joy in hunting and his comments: first on alligators ("They are often dangerous and are always destructive to fish, and it is good to shoot them") and later on conservation ("There is every reason why the good people of South America should waken... to the duty of preserving from extinction the wildlife which is an asset of such interest."). The book is most poetic in its description of animal life, and particularly in registering surprise that the myriad insects are far more pernicious than any of the better-known dangers such as alligators, big cats, or piranhas. 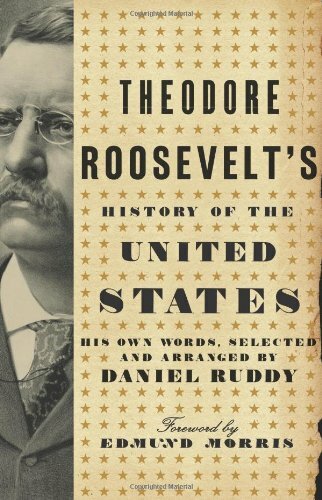 The book's is not perfect, and Roosevelt is not a great author in a literary sense, rather making up in enthusiasm what he lacks in prose and penetrating insight. There is no attempt at political analysis, he simply praises Brazilians as good hosts who have started down the road to democracy. He sees the land he travels through as like the United States of perhaps a hundred years earlier, so there are frequent predictions that a promising location is ripe for development. The limited foray into politics is to praise Positivism, the ideology of the Brazilian military class that emphasized modernity and structure, and that not incidentally justified the many instances of military intervention in Brazilian politics over the years. Finally, the one annoyance is the recurring theme (perhaps a dozen times in all) of the true danger of the journey. Over and over we read that the river has never been charted, that it is truly dangerous, that the explorers are not your armchair-adventurer variety, and that such voyages will necessarily be easier for those who follow in the future. We get that. 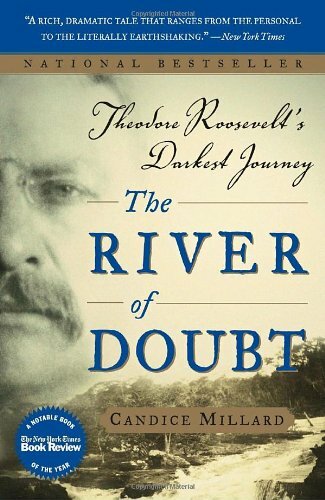 TR's account of his expedition to explore the River of Doubt shows a lot of the reasons we still admire him. First, he was a serious scientist. He was dedicated to discovering new species of wildlife (and could rattle off their Latin names with the best of them), mapping unknown stretches of river, and observing the ways of foreign lands. We know TR as a physical character and often forget what a highly intelligent man he was. Second, his writing is greatly under-appreciated. He doesn't breeze over his descriptions of wildlife or the landscape--it's pretty technical stuff--but he does it clearly and concisely. As someone who has labored through countless pedantic textbooks, I took comfort in his words, "Ability to write well, if the writer had nothing to write about, entitles him to mere derision. But the greatest thought is robbed of an immense proportion of its value if expressed in a mean or obscure manner." Third, despite the above, he could still endure enormous physical hardship at an old age. Battling rapids, hauling canoes, fighting disease, and hunting game, TR had the combination of brawn and intelligence that's seriously lacking in our leaders today, especially the lightweight that now sits behind TR's desk. This book is also a great window into a time and place forever lost to history. TR's writing projects a clear photo in your mind of undiscovered wilderness and great adventure. As those familiar with his history know, Theodore Roosevelt was truly a unique, gifted and accomplished person.He was naturalist, historian, big game hunter, politician, statesman, conservationist and recipient of the Nobel Peace Prize rolled into one.If he had followed the interests and predilictions of his youth, he would have grown up to be a naturalist rather than President of the United States.As a boy he had a vast collection of frogs, squirrels, snakes, birds, insects that he called the Roosevelt Museum of Natural History. Science's loss was politics gain.However, T.R. never lost his interest in nature.Following his presidency, he set out on an expedition to explore and map unknown regions of Paraguay and Brazil on the 950-mile River of Doubt, a previously unexplored tributary of the Amazon River.The scientific endeavor became an ordeal to test the expedition's courage and stamina as it faced overpowering heat, dangerous rapids, wild animals, devouring ants, endless insects, fever, dysentery and more.The expedition collected thousands of species of birds and mammals, but Roosevelt would die a few years after completing the expedition.Roosevelt admired those who lived life with passion and for what he called "the Great Adventure. "This story chronicles one of T.R. 's last great adventures in his typical inimitable style. 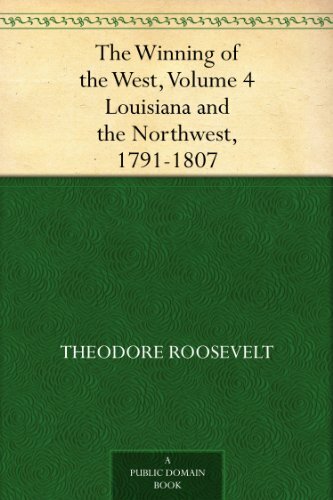 Theodore Roosevelt's ideas about the nation's early days and his own times can be found sprinkled throughout his volu-minous writings, but these "pearls of thought" (as one of his book reviewers described them in 1888) have never before been pulled together into one volume. 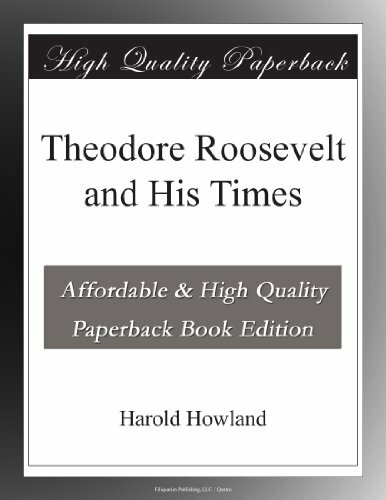 Now, through the skillful editing of Daniel Ruddy, Theodore Roosevelt's History of the United States provides readers with Roosevelt's unique view of American history from the Revolution to the beginning of the twentieth century. An astute historical observer, Roosevelt was a hanging judge who did not hesitate to render harsh verdicts about leaders and events from America's past. His razor-sharp opinions cut to the core, capturing the essence of obscure and prominent figures alike: in his view, Andrew Jackson was "not more than half civilized," John Tyler was "a politician of monu-mental littleness," and William McKinley had "no more backbone than a chocolate Éclair." Roosevelt did not spare his contemporaries from criticism, either, particularly Woodrow Wilson, whom he believed to be "rotten through and through." What emerges from these pages is, of course, as revealing about Roosevelt as it is about the United States. This colorful compendium is a wonderful new angle on both American history and one of the country's most energetic, brilliant, and entertaining men. This book was an excellent read. I especially enjoyed the fact that no commentary was included. There was just the pointed, fresh, opinionated free speech of Roosevelt to be enjoyed. The perspective of opinions are valuable in that they are spoken in their time without revisionists spin, whether one agrees with the opinion or not. You will not be disappointed by this book - BUY IT. I did for me and a friend. If you listen to Glenn Beck TR was a evil man,but in reading the book you get the idea that he spoke his mind and carried a big stick(guess that were his daughter Alice got her voice).He disliked WOODROW WILSON which makes him in my book a great judge of person/or people!!! 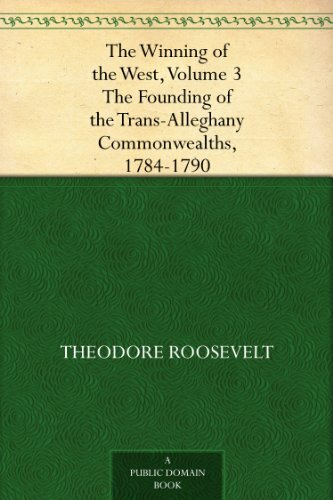 !Good read and if you never thought of TR as anything but a cousin of Franklin DAMM Roosevelt you had better read with a open mind.....FDR was the evil twin in that family not TEDDY!!!!! It's like your listening to Teddy. The book is filled with a great deal of history that most folks have little knowladge of. If you keep in mind that this is Theodore Roosevelt talking, and your hearing him speak, listening to the words as he would us them in his day. Don't worry if you don't know that much about the history that he speaks of, but how he is speaking about it. I really enjoyed this book, not only from a historical standpoint, but from a personal one as well. I am reading this to my blind wife; it takes little longer that way, but we're enjoying it together; have not finished reading it yet, but getting some new perspectives on leaders in our history.Some are not very complimentive (similar to some of our present leaders)Too bad though that some of our present leaders don't have some of the qualities that some of our early leaders had (eg. Washington, Lincoln, ...).I would recommend this book; it reveals some of the truths that have been white washed from history books in our public schools; also, some of the strengths needed today in our leaders. It's more a series of short bios on past leaders, than a history of the U.S. In this lively biography, Edmund Morris returns to the gifted, energetic, and thoroughly controversial man whom the novelist Henry James called "King Theodore." In his two terms as president of the United States, Roosevelt forged an American empire, and he behaved as if it was his destiny. In this sequel to his Pulitzer Prize-winning biography The Rise of Theodore Roosevelt, Morris charts Roosevelt's accomplishments: the acquisition of the Panama Canal and the Philippines, the creation of national parks and monuments, and more. "Collaring Capital and Labor in either hand," Morris writes, Roosevelt made few friends, but he usually got what he wanted--and earned an enduring place in history. 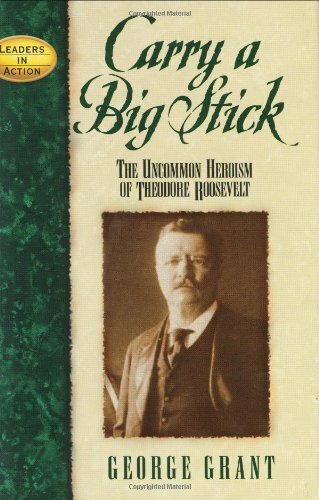 This is a thoroughly researched and very well written biography of Theodore Roosevelt from 1901-1909 showing the intelligent patrician leader to have a real heart for nature and for the good of the United States of America. It will interest history buffs but may seem too long to the casual reader. This book seems overwhelming at first glance, but its hard to put it down.Reads like a novel, entertaining, and relevant to the present political issues.Great food for thought about political parties and power, corporate power, foreign policy, and great statesmanship.A must read for all political persuasions. I could not get past the first chapter. This so-called historical work is full of unverifiable emotions Morris throws in as purely literary devices, and he is NOT a novelist. It reads like pulp fiction and is insulting to the intelligent amateur historian. McCullough's "Mornings On Horseback" is a far superior work yes sadly only covers T.R. 's early years. (I have no financial or other relationship of any kind with Morris, McCullough, or any of the publishers of their work). After reading the fabulous and fascinating "The Rise of Theodore Roosevelt" by Morris last year, I was anxious to continue the journey. 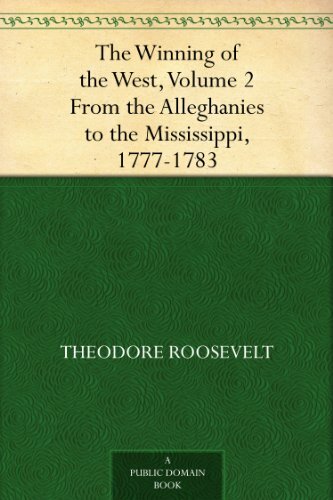 Roosevelt's life leading up to the presidency of the United States was in constant motion and excitement and the first volume of the biography reads the same way. "Theodore Rex" deals only with the 7 1/2 years of Roosevelt's presidency. I became completely engrossed in the political atmosphere at the beginning of the Twentieth Century and Roosevelt's actions and reactions as the president. I found it especially interesting that many of the political issues of 2010 were issues in 1907 too. Politics doesn't really change very much. As president, Roosevelt, who many feared would be a warmonger, negotiated peace between other countries and kept the U.S. out of war. He demonstrated to the international community a willingness to action if necessary which often resulted in peaceful settlements. He "built" the Panama Canal. He negotiated settlements during labor disputes; broke up trusts; called for conservation of natural resources (the first federal land grab which resulted in many of our best known and beloved National Parks); built a much stronger navy; and cleaned up and regulated the food industry. He also brought so much more power to the executive branch and beefed up the federal government. While I believe he believed that he was doing the best thing for the United States, I personally think he may have lacked the foresight to think about the consequences of such a strong post when he was no longer filling it. And now, at last, the third and final act of one of the greatest accounts of one of the most remarkable lives in American history. "Colonel Roosevelt" brings to a close Edmund Morris' trilogy on the life of Theodore Roosevelt, 26th President of the United States, prolific author, naturalist, cowboy, husband and father. It picks up where the story left off at the end of volume two--Roosevelt's departure from the presidency in March 1909 and closes with his death in January 1919. The last decade of Roosevelt's life was often marked by loss, both personal and professional, but it was a dramatic and momentous one nevertheless, and receives full justice in Morris' masterful hands. It's all here: the triumphant African safari of 1909-10; the rift with his handpicked successor, William Howard Taft; the unsuccessful attempt to wrest the 1912 Republican nomination from Taft; the stand at Armageddon and the birth of the Progressive Party; the assassination attempt in Milwaukee, when TR insisted on delivering a speech despite the bullet in his chest; the shadows that darkened Europe and Roosevelt's increasingly militant stance for preparedness; the wounding of his sons and death of one of them in battle; andfinally, death in his 60th year. This book is chucked full of facts and information.Good read.I found it very interesting.I would recommend for anyone interested in history.Exciting and adventureous stories of Roosevelt's life.Very easy to read, capturing.Highly recommend. In terms of energy and activity, no American president has ever come close to Theodore Roosevelt. The author of more books than many people read in their lifetime, he was a world traveler to places where it meant enduring very harsh conditions. He traveled through Africa and Brazil and was attacked by every aspect of the elements, from extreme heat and humidity to swarms of insects and animals that could hunt him. Roosevelt came very close to dying during his trip to the heartland of Brazil, at one point he was so sick that he admonished the others to save themselves and leave him to die. The illnesses that he contracted in the Amazonian jungle led to his early demise at the age of 61. Roosevelt was also a brave soldier, while the exploits of his famed "Rough Riders" are legendary, they are based in fact as they exhibited great bravery in mounting what could have been a suicidal charge had the Spanish soldiers been better equipped and led. Roosevelt was decades ahead of his time in terms of conservation and adapting the country to the idea of worker's rights and social legislation. Under his direction, millions of acres were set-aside as national parks and he was the driving force in moving against the mighty power of the trusts. Although he was a Republican, he defined the notion of what a "Progressive" is; any follower of politics will understand that Roosevelt would be appalled at what passes for Republican Party policy today. Morris does a superb job in describing the life of Theodore Roosevelt after he left the White House. He was an honorable man and when he declined to run for re-election in 1908 he made what was most likely the biggest mistake of his life. The consequences of this led him to run under the "Bull Moose" party in 1912, where he finished second to Democrat Woodrow Wilson and ahead of the incumbent Republican William Howard Taft. A great deal of his activity after he left the presidency was due to his desire to influence events and be president once again. He was appalled at the loss of the Progressive agenda, it is not widely covered in modern history classes but Theodore Roosevelt was a strong proponent of the rights of black people, pushing for the hiring of blacks whenever possible. As Morris reports, he was furious at the Wilson administration'ssystematic removal of blacks that he had appointed to government jobs. This is a detailed description of Roosevelt's activities after he left the presidency, at some points the detail almost reaches the level of tedious. Nevertheless, it is a look into the true essence of Theodore Roosevelt, what he was, what he believed and sometimes just as important, the importance that he attached to Theodore Roosevelt the man. Simultaneously confident to the point of arrogance, yet with a streak of humility, he was a great president, considered by a majority of historians to be among the top five of all time. Leaving the office of the presidency did not slow him down at all, he maintained a frenetic pace and this is a detailed story of his travel and political adventures after he once again became "Colonel Roosevelt", which was always his favorite title. What else can one say after completing the third and final volume in Edmund Morris's magisterial trilogy on Theodore Roosevelt.As Morris notes in his epilogue he started this series back in 1979 when Roosevelt was still suffering from the often scathing biographies by liberal academes who tended to view Roosevelt as a bully, a tyrant, a misanthrope and worse.This despite the praise heaped upon him by his "fifth cousin" Franklin Roosevelt, who essentially modeled his political career after TR. This book covers the Bull Moose's final ten years.Far from being a "comet in decline," Roosevelt kept up a pace that would leave much younger men exhausted and gasping for airs.He didn't seem to lose a moment of his life, pushing himself hard and fast through 60 years of his strenuous life, until finally his grizzled body could take it no longer, quietly passing away in "The House on the Hill" on a cold January evening in 1919, which Morris poignantly recalls in the closing chapter. 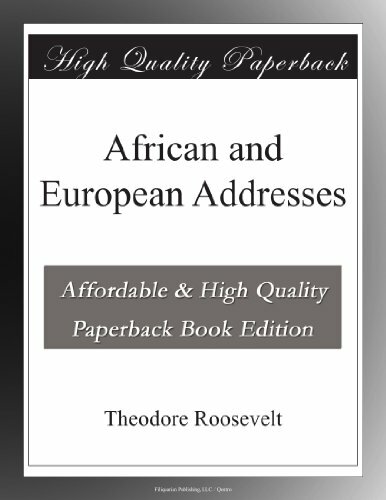 Through the course of the narrative we are treated to Roosevelt's Africa Expedition, funded by Andrew Carnegie, his grand tour of Europe that followed, his break from the Republican Party and the formation of the short-lived Progressive Party that seemed would tarnish his reputation among Republicans forever, his journey Through the Brazilian Wilderness and finally his infamous battles with Woodrow Wilson over American neutrality in the great war that would cost the life of perhaps his dearest son, Quentin. Morris captures the fervor of Roosevelt's commitment but also his many inconsistencies, not least of all in his unbridled frustration with Taft and Wilson, who he felt were turning back his prized progressive reforms and dragging their feet when it came to hot button foreign issues.Morris notes that Roosevelt was never a true Progressive, but rather one with a small "p" who dearly hoped to keep progressive reform a part of the Republican plank.Failing to do so he launched his own campaign in 1912, but after that sought reconciliation between the "regular" and "progressive" Republicans.His biggest concern were effete Democrats like Wilson, who he felt were co-opting progressive reform without offering any substance to them. His ultimate disillusion was the way Wilson dragged out American neutrality long after the Lusitania and other passenger ships and freighters were sunk by German U-boats.Roosevelt's constant attacks on Wilson, through his editorials in The Outlook and Metropolitan journals, no doubt had a grueling impact on the Democratic administration, but as Morris noted the public mood was with Wilson and Roosevelt eventually came to realize that, growing increasingly disappointed with "hyphenated Americans." 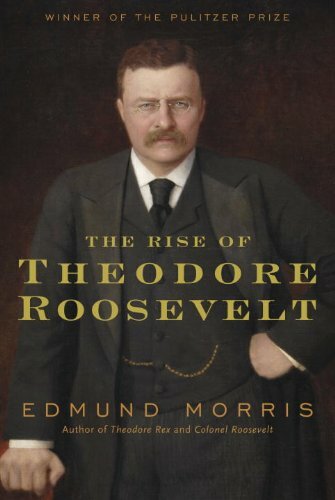 This book completes Morris's compelling trilogy which I see will soon be available in a box set.If you haven't read the first two books, I would suggest the trilogy bundle as it offers perhaps the most complete portrait of Theodore Roosevelt other than Roosevelt's own accounts. If you've read the first two volumes in Edmund Morris' landmark biography of Theodore Roosevelt (The Rise of Theodore Roosevelt and Theodore Rex) you've been waiting for this one. The scholarship is every bit as detailed, the narrative every bit as well-drawn, but I nevertheless found myself enjoying this volume slightly less than the two preceding ones, if only because it describes sadder events, and Morris did such a masterful job of taking us through Roosevelt's Rise and Rule that his necessary decline seems even more poignant in comparison. This book does contain detailed, authoritative accounts of some of the most dramatic events in Theodore Roosevelt's life -- the assassination attempt he followed with the announcement "Ladies and gentlemen, I don't know whether you fully understand that I have just been shot; but it takes more than that to kill a Bull Moose[,]" and a ninety-minute speech, given with blood spreading slowly across his waistcoat; his hunting safari in Africa; his near-death experiences mapping the then-unexplored River of Doubt in Brazil (now named the "Rio Roosevelt" in his honor). If, like me, you followed reading Morris' prior volumes with Roosevelt's own autobiographical works -- the Autobiography of Theodore Roosevelt,Through the Brazilian Wilderness, and/or African Game Trails-- reading this will give you the details Roosevelt himself chose to leave out, and show you the viewpoints of Rooselvelt's friends, enemies, and family as well. So, all in all, if you've read the first two volumes, and especially if you've gone beyond them, this one's a necessary read. The problem with it is that, of necessity, this volume is tragedy, not comedy; this last section of Roosevelt's life was a comet in decline, overextended, his powers past their peak or locked into futile struggles that his native pride and will found impossible to decline. The same genius is still there -- both in Roosevelt himself and in Morris' biography -- but it's hard to read of Teddy's doomed-from-inception 1912 presidential campaign, of his near-quixotic determination to map the Brazilian wilderness as an aging man in his fifties, or of his relentless push for a war that we know will kill his youngest son, without feeling an inevitable sadness that caused me to put this book down on more than one occasion. Nathan Miller's critically acclaimed biography of Theodore Roosevelt is the first complete one-volume life of the Rough Rider to be published in more than thirty years. From his sickly childhood to charging up San Juan Hill to waving his fist under J.P. Morgan's rubicund nose, Theodore Roosevelt offers the intimate history of a man who continues to cast a magic spell over the American imagination. As the twenty-sixth president of the United States, from 1901 to 1909, Roosevelt embodied the overwheliming confidence of the nation as it entered the American Century. With fierce joy, he brandished a "Big Stick" abroad and promised a "Square Deal" at home. He was the nation's first environmental president, challenged the trusts, and, as the first American leader to play an important role in world affairs, began construction of a long-dreamed canal across Panama and was awarded the Nobel Peace Prize for almost singlehandedly bringing about a peaceful end to the Russo-Japanese War. In addition to following Roosevelt's political career, Theodore Roosevelt looks deeply into his personal relations to draw a three-dimensional portrait of a man who confronted life-wrenching tragedies as well as triumphs. It is biography at its most compelling. With all the discussion of what role government should play in monitoring business, especially big business, Theodore Roosevelt is relevant. Reading his views on why there should be oversight are as relevant now as they were early twentieth century. Other areas that are just as relevant include 3rd party candidates, patriotism and individual responsibilty. Reading this book helps bring on reflection and discussions that can be much richer than focusing on the latest soundbite. Having read a biography of Theodore Roosevelt 30 years ago it's amazing the light years biographies have made. Biographies until recent times had been little more than recitations of their life and times, but now are delving much more deeply into original source documents and completing a much fuller and more comprehensive picture of their subject. Biographers are also taking a much more multi-disciplinary approach pulling in sociology, psychology, history, political science and economics that make biographies a much richer read. You feel like you really understand them in the context of their times. Theodore Roosevelt by Nathan Miller is just such a read. Theodore Roosevelt is already a lively and entertaining figure and his life was like a movie anyways. Sickly child to Wildman of the West, Society Dandy to wily politician, scorned outsider to President. Miller captures it all in style that fairly crackles with life. His writing on the period of TR's entry to politics through to the Spanish-American War was so gripping I could hardly put it down. Miller pulls in a great number of archival and original sources to paint a much more complete comprehensive and engaging portrait of TR. I haven't read Edmund Morris's Theodore Rex yet, but hear it's equally good. The anecdotes Miller throws in showcases what a manic bundle of energy TR was, yet he lets TR live in his era. Too often revisionist historians try and impose today's standards on past figures. Miller eschews that and TR is really seen for the man he is. Theodore Roosevelt is a compelling read for those interested in learning more on him and the Progressive Era. I'd read this book as a companion piece to two courses I was taking last semester, Gilded Age and Progressive Era (HIST 4461) and US Diplomatic History 1890 to Present (HIST 3321) and it tied to both exceedingly well, providing great insight into the context of the times. As far as insight into TR himself I dare say Miller is far more objective than TR was in his autobiography and truly captures TR in most every respect. An incredibly interesting story about an incredibly interesting man written by an excellent writer.Read the book.You will enjoy every page. This is the best book on Teddy Roosevelt's hunting trips it reads as if you are there with him and Kermit. I do not read nor enjoy non-fiction books but this was our book club pick. I reluctantly started to read and became enthralled with the adventures of Theodore Roosevelt and his companions. The book was not filled with just facts but with emotion and a very human look at our former president.The photographs enhanced the reading enjoyment. Book was in like good condition and arrive promptly. Would purchase from the seller again.Thanks. This is a great book about Theodore Roosevelt.I read it to see if I wanted to include it in my homeschool endeavors this school year for my 11 year old son.I feel it is more for an older child, say 14 and up, but as a general biography it is wonderful.There is only one part I would censor with an elementary age child and that is a reference to prostitution and other criminal activity in New York City that Roosevelt wanted to clean up (one paragraph) and the vocabulary is very advanced throughout the entire book.It is written from a Christian conservative view point and it offers loads of good character qualities and virtue.I look forward to reading more titles in the Leaders in Action Series and more from the author.Well done! I really enjoyed this book.Theodore Roosevelt is a hero of mine and this was a great opportunity to learn more about his character and about the things which shaped his life. This book had me fooled for about 100 pages then the 'agenda' became clear! I love TR and recommend Edmund Morris bio - real history and writing. Carry a Big Stick distorts distorts the fact and TR himself to fit into a RIGHT WING agenda - Grant comments on FDR are SHAMEFUL and incorrect. PLEASE READ SOMETHING ELSE! want a fair and balanced picture. A Must-Read for the U.S. History Student! What a wonderful book!Teddy Roosevelt was brilliantly ressurected for us by George Grant in this comprehensive, yet easy-to-read work (because of the chapter lengths).Section 1 is a biography of his life; Section 2 contains short chapters on his character, and many sides to his life; Section 3 deals with his legacy. There have been few hunters as daring, as powerful, and as articulate as our twenty-sixth president, Theodore Roosevelt. From his ranching years in the Dakota Territory to the famous African adventures, Roosevelt's tales are unparalleled stories of the hunt. The best of them are collected here. Of Roosevelt's many volumes of hunting and exploration, two reader favorites have always been Ranch Life and the Hunting Trail and African Game Trails, both excerpted here. During his ranching years, Roosevelt ranged far and wide, and his African trips were also famously bold. In all his expeditions, Roosevelt reveals in detail hunts that were incredible journeys of both pursuit and discovery, for wherever he went in the outdoors he assumed the dual roles of both hunter and naturalist. The hunts range from upland birds and waterfowl to prized big game animals like elk, bear, and sheep amid lofty peaks. There are goat pursuits among ice-glazed mountain spires, and close encounters with grizzlies in the black timber. He survives lion charges and buffalo attacks, and stumbles on elephants. 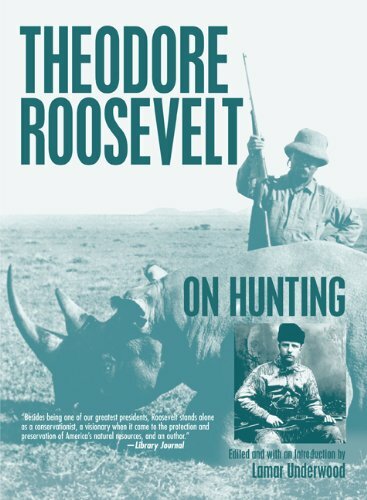 From the peaks and plains of the American West, to the vast and mysterious East African game fields and forests, Roosevelt shares his experiences and observations in irresistible prose. Upon the 1898 Declaration of War launching the Spanish-American War, Roosevelt resigned from the Navy Department. With the aid of U.S. Army Colonel Leonard Wood, Roosevelt found volunteers from cowboys from the Western territories to Ivy League friends from New York, forming the First U.S. Volunteer Cavalry Regiment. The newspapers called them the "Rough Riders." This is the first person account by the regiment's commander and future President of the United States, Theodore "Teddy" Roosevelt. Teddy Roosevelt was one of the most inspiring men in American history for a variety of reasons---and this book captures them all, from politician and military leader to writer and conservationalist. This is a book all schoolchidren should read...so don't expect public education to do so. Anyway, the quotes, stories and background information really open the reader's eyes to what an incredible life -- in so many areas -- this man lived. There are too few like him these days (in any area). 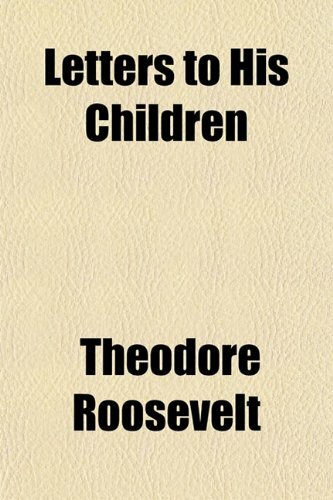 I would have given the book five stars, but since it was written recently, there seems to be some "updates" (or revisionism), which do not always portray America or Teddy in as positive a light as he and WE deserve. Nothing major, but still noticeable. Given what I had read about Theodore Roosevelt's tendency to overplay the value of war and turn it into a great adventure, I was pleasantly surprised with the tone of this book. While Roosevelt does occasionally venture into the territory of describing the actions of the regiment known as "The Rough Riders" in the Spanish-American War as a romantic great adventure, in general he is factual. He is repeatedly critical of the governmental management of the war, which was abysmal. The troops often went without supplies, at several points; Roosevelt describes how he used his own money to buy food stocks for the men in his regiment. Disease and other deprivations were also common; there were no shelters, few blankets and the travel accommodations were awful. There was little in the way of hospital facilities, the sick and wounded received almost no treatment. In spite of all this, there is no question that the men of the Rough Riders regiment acted very bravely, almost foolishly so. Roosevelt talks about how the men often walked out in full view of the enemy, taking a very nonchalant attitude regarding the likelihood of the Spanish troops shooting them. Some paid for their foolishness with their lives. Roosevelt describes how he ordered them to create a vast series of trenches and other fortifications, so that the soldiers could rest easy. In many ways, it was a preview of the more extensive structures created in the Great War that was to engulf Europe less than two decades later. This is not a history of the Spanish-American war and there is nothing about the reasons or justifications for it. It is simply a recapitulation of the actions of the regiment that Roosevelt commanded during that brief war that made the United States a colonial and world power. Modern Library puts out some of the greatest book ever written.This is no different.Roosevelts account of his Rough Riders days jump off the page like a great fiction book.He discribes how he left the Navy Department and volunteered to serve in the Spanish American War.He discribes all of the charactors who served in the famed regiments that made up the Rough Riders.Some we College Graduate, some were cattle rustlers, farmers, etc.A real bunch of misfits. I like his attention to detail and all the researchable facts.There is a list of all the men who served as Rough Riders. This is recomended for anyone who likes history, the Spanish American War, and Theodore Roosevelt.I happen to like all three. If you liked the movie the ROUGH RIDERS starring Tom Berringer at "TR", you will enjoy this book. It was apparent that Berringer and crew did their homework as many parts of the movie are found in the book almost word-for-word. Much detail. Nothing like history written by someone who was actually there. "The Rough Riders," by Theodore Roosevelt, is the author's memoir of his experiences as part of the First United States Volunteer Cavalry during the Spanish-American War.The book's title comes from the nickname earned by the unit.The copyright page notes that the text was originally published in 1899.TR tells about the recruitment and training of the Rough Riders, their voyage to Cuba, their battles, and their return home. Much of the book concerns what, in TR's opinion, makes for good soldiers and good leaders.Although the book first appeared over a century ago, I found many of TR's observations startlingly relevant to contemporary warfare; he discusses wartime refugees, guerrilla warfare, wartime atrocities, and battlefield news correspondents.Other topics covered include illness among the troops and the impact of weather and terrain on warfare.He also discusses occasional humorous material, such as the nicknames some soldiers earned. In this monumental biography, acclaimed historian Douglas Brinkley examines the life and achievements of Theodore Roosevelt, our "naturalist president," and his tireless crusade for the American wilderness—a legacy now more important than ever. 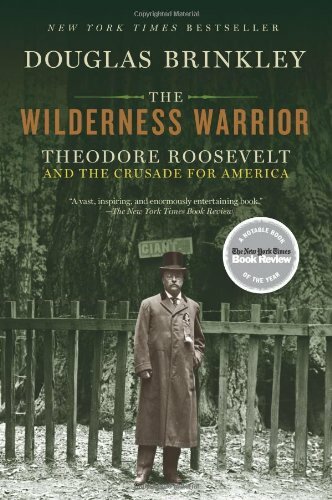 Douglas Brinkley's THE WILDERNESS WARRIOR: THEODORE ROOSEVELT AND THE CRUSADE FOR AMERICA receives a fine performance by Dennis Holland who provides a warm, clear voice to reveal a fine focus on President Theodore Roosevelt and his environmental legacy. From the role nature played in Roosevelt's career to his influences from Audubon to Darwin, this offers a blend of personal anecdotes and political insights perfect for any general lending library. Douglas Brinkley takes the amazingly rich and varied life of arguably our greatest president and views him through the lens of early naturalist, conservationist, and wildlife protector. Brinkley's style is brisk and entertaining, avoiding any whiff of scholarly drudge. Roosevelt's personality and amazingly varied life provide an ample storehouse of history that is highly relevant today. Brinkley notes the prominent Roosevelt associates who joined him on his many battles to save American natural resources. Here is a history worth reading for what it tells us about today's unfinished business. The only negative feature of this book are the numerous typos, grammatical mistakes, missing words, and transcription errors that should have been easily caught by a spell-checker or proofreader. This gives the book a "rush to publish" feel. This minor quibble apart, Brinkley's excellent work is a major feat--a must for TR fans and anyone with an interest in the American outdoors, conservation, and wildlife protection. I knew very little about Theodore Roosevelt (1858-1919) before reading this book. What interested me was that he was an outdoorsman and a big game hunter. This biography focuses on Roosevelt's early love and detailed knowledge of nature and wildlife, and follows the increase of his love and knowledge as both a hunter and as an adult conservationist with vast political influence. I am not qualified to critique the book's accuracy or compare it to other biographies of Roosevelt. My interest was in Roosevelt's outdoor experiences and his attitudes to nature, and in this I found the book satisfying. The text divides almost exactly into the first half being concerned with Roosevelt's life before his presidency and the second half with his life during it. Roosevelt's life after his presidency is not discussed. The book ends in 1909. The emphasis is on Roosevelt's relation to nature and his political role in preserving it. There is very little on his broader political views. He certainly saw the Federal government as a powerful, authoritative means of seizing land and keeping it safe from the encroachments of the industrial age and the destructive avarice of men. One can wonder: If the Federal government under Roosevelt (and under Presidents before him) had not forcefully asserted its power to preserve nature and wildlife, would the State or Territorial governments have acted on their own to effect this preservation within their borders? Theodore Roosevelt, who cherished nature heartily, evidently viewed Federal authority as surpassing the authority of the States, and viewed his political methods towards preservation as fully justified by his high moral purpose. As a self acclaimed "Teddyphile" and having worked as a National Park Ranger for more than 32 years, I have read most of the biographies of our 26th President.Even with all this prior background and knowledge I found Wilderness Warrior to be a new fresh look at a fascinating life and its impact on our Nation.Through this book I was able to learn even more about not only Theodore Roosevelt but many of the other important figures that formed the early conservation movement that resulted in the creation of our National Parks, National Forests, and Wildlife Refuges. 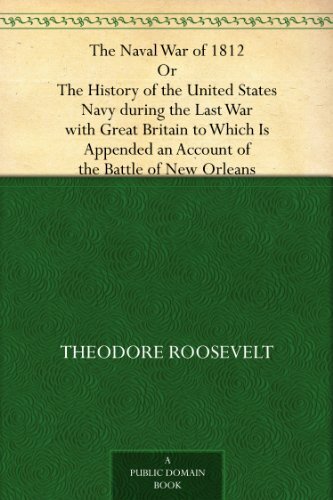 As a reader I also learned many facts about the early influences on Theodore Roosevelt that are either not mentioned or glossed over in other tomes.One example is the history of Robert Barnwell Roosevelt, T.R. 's uncle, who was an early conservationist and writer and had a strong influence on a developing youth's interest in the outdoors. R.B.R., as he was referred to by friends and family, was a bit of a womanizer and the black sheep of the family.Perhaps this is why he does not appear in some other biographies. With current threats to our natural spaces by special interest groups for profit, I found the descriptions of what were to become National Parks and the attempts to cash in on their resources warnings for the world we live in today. I highly recommend Wilderness Warrior to anyone with an interest in the history of conservation, the beginning of the 20th Century in the US, or Theodore Roosevelt. The best way to describe this book is as a history of Theodore Roosevelt's place in the forefront of the American conservation movement. 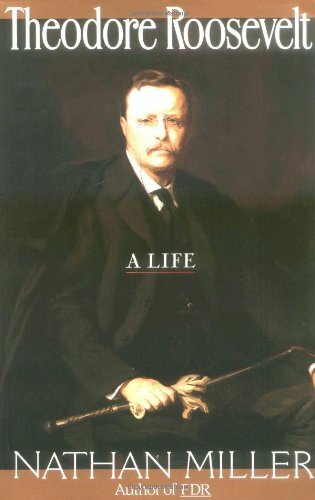 If you want a thorough biography of Teddy Roosevelt then look to the Morris books. This book doesn't hold itself out as a true biography-it is clearly aimed specifically at Roosevelt's efforts to preserve the wild places and wild animals in America. The book succeeds spectacularly in achieving it's goal. The book proceeds in roughly chronological order starting with Roosevelt's youthful animal studies, covers his ranching years in the west, and then covers in depth his years as Governor of New York and his time in the White House and his conservation efforts there. The book also covers in detail those who were influenced by or influenced Roosevelt. Men such as John Muir, Teddy's Uncle Robert Roosevelt, Gifford Pinchot, John Burroughs, George Bird Grinnel and many others. This depth gives the book the feel of a history of the early American Conservation movement. The book also discusses some of the contradictions in Theodore's behavior and policy, i.e. his love of hunting yet his desire to preserve and conserve those same animals. Perhaps more confounding was his efforts to presrve habitat for wildlife while at the same time supporting draining the Everglades (which thankfully never happened) and supporting similar efforts in California and Oregon which had the consequence of reducing wildlife habitat. These contradictions really have no way of being totally reconciled-they are simply a part of who Teddy Roosevelt was.